North Kesteven District Council has received a letter from Coun Ian Dolby confirming his resignation from the council. The member for Sleaford Quarrington and Mareham ward’s resignation is effective from today (Thursday, April 3), according to the chief executive Ian Fytche. No reasons for his resignation have been given by the authority. Plans for a by-election will be announced in due course. 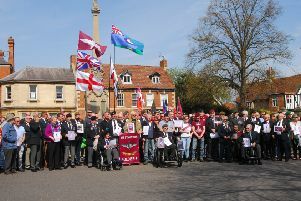 * More on this in the Sleaford Standard next week.